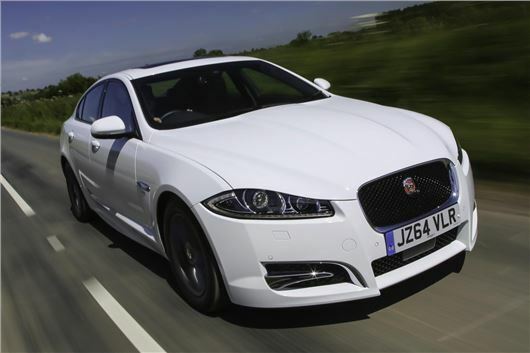 Jaguar has freshened up the XF executive saloon with specification updates across the range, plus the addition of a new R-Sport Black model. Available now, the XF R-Sport Black costs £38,350. The new model is powered by Jaguar’s mainstay 2.2-litre 200PS diesel, and the company says it includes an additional £8,770 worth of extra equipment over an XF R-Sport, yet costs just £2,100 more. Only 100 will be made. The XF R-Sport Black, which is available as a Sportbrake estate too (priced at £40,850) features 20-inch black alloy wheels, a top-level Meridian sound system, leather sports seats with electric adjustment, extended leather upholstery, black interior and exterior detailing, and a range of no-cost paint colours. Far from being a desperate attempt to boost sales of an ageing model, the XF R-Sport Black comes with a reminder from Jaguar that the model has enjoyed year-on-year sales increases since launch, making 2014 the XF's most successful year ever. Elsewhere in the XF range, which starts with the £33,445 XF Luxury specification, powered by a 163PS version of the 2.2-litre diesel engine, the Winter Packs and Comfort Packs are now standard. They include a heated windscreen, heated seats and a reversing camera. New interior wood finishes and alloy wheel designs have been added to distinguish 2015 model year cars, while the price of range-topping Portfolio specification cars has - in a very rare move for any car company - been reduced by £3,500. Despite that, blind spot monitoring is now standard, as is a 380W Meridian stereo - 380W as opposed to the window-shattering 770W system of the R-Sport Black. You have stated that only 100 will be made but only 100 of the Kyanite blue will be made, not the model as a whole.